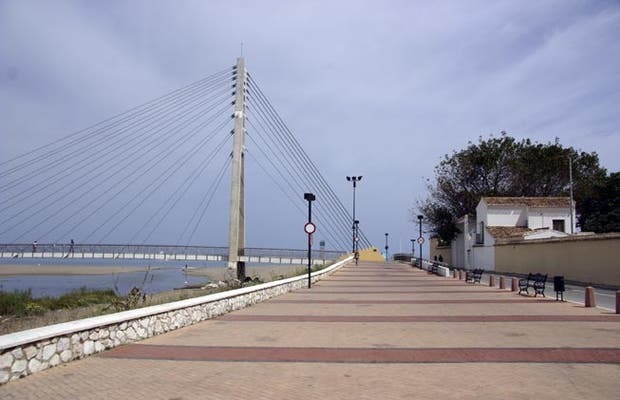 Next to the Parque del Castillo Sohail in Fuengirola, they have recently built a footbridge over the River Fuengirola. Its design is very modern, the typical suspension bridge with the central base of concrete and steel braces. The best part is the environment, with the castle on one side and the beach on the other. This bridge was inaugurated last year, linking the seafront with the castle.